To provide state-of-the-art vitreoretinal care in an easily understood and compassionate fashion, where each individual patient’s best interests are always what guide us. 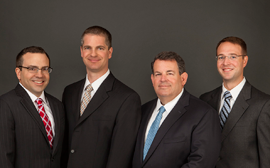 We are very proud to have an extremely well trained, professional staff as part of the Retina Care Specialists team. Your knowledge and comfort level are very important to us, so please do not hesitate to contact us with any questions or concerns.